Does anyone ignore the fuzz above your eye? No matter how blessed you are, you do visit the salon once a month at least. 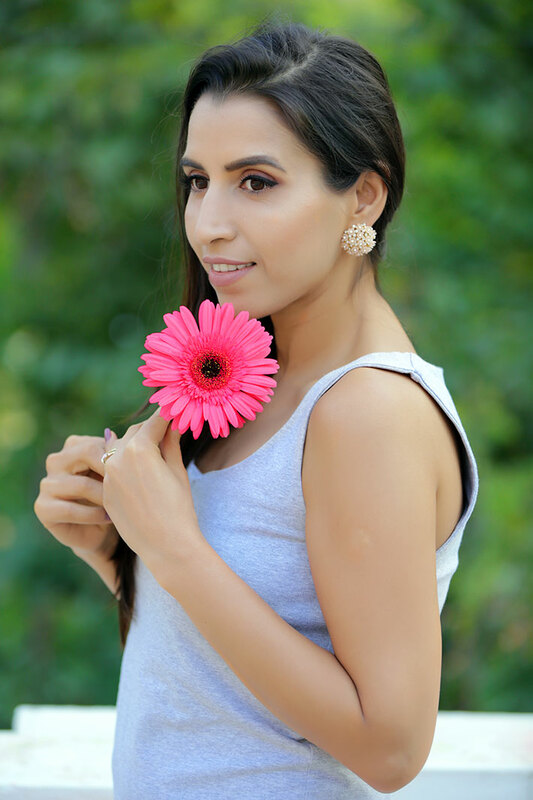 Hair removal from sensitive areas such as bikini, upperlips and eyebrows require extra care and precision, which leads to an appointment at the salon. 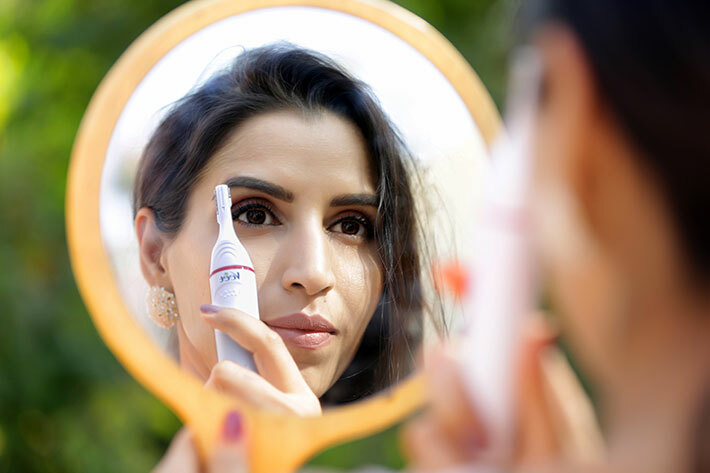 So, when I heard that Veet Sensitive Touch Electric Trimmer can get rid of hair from the underarms, bikini, upperlips and eyebrows, I just had to try it. I must say that this trimmer delivers what it promises. 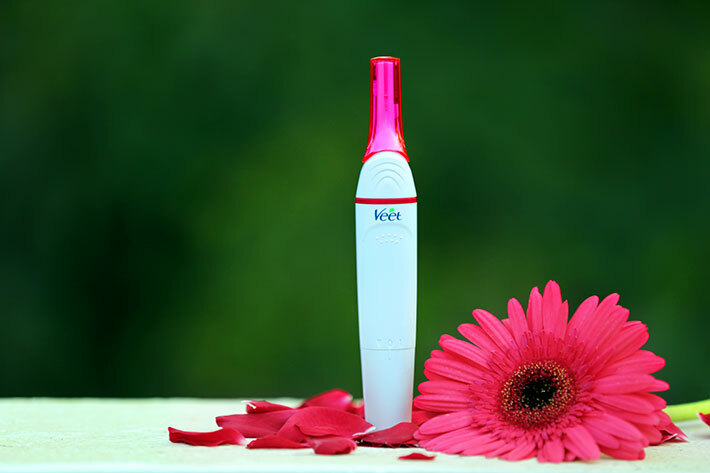 The Veet trimmer comes in a compact pink colour package which is very easy to open. 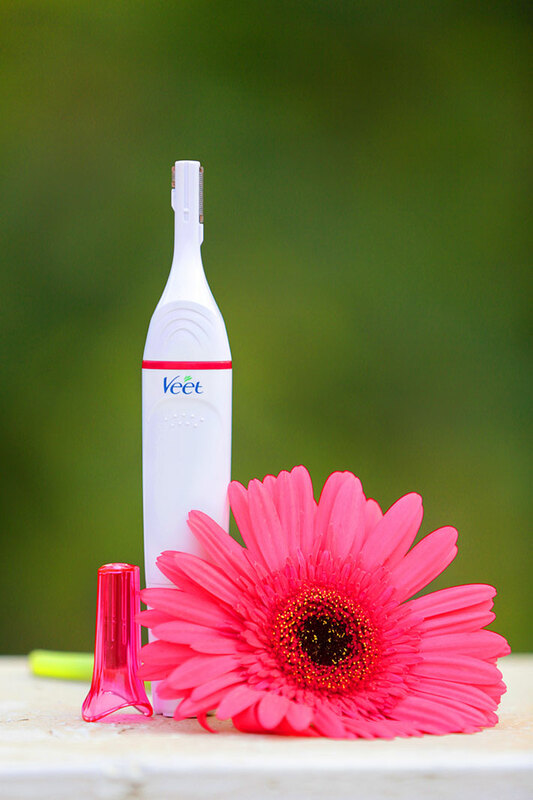 To start using the Veet trimmer, insert the battery from below into the main body of the trimmer. They have different tools for hair removal, depending on the part of the body. CAUTION: Ensure your skin is dry before you start using it. 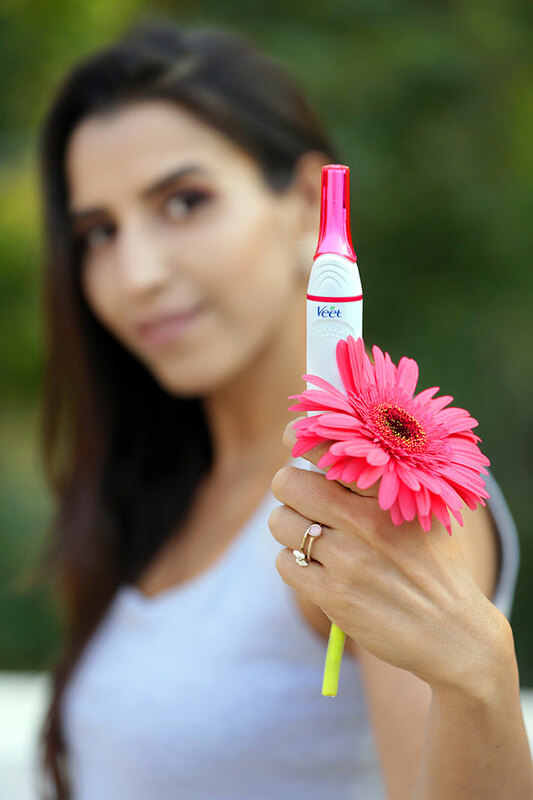 Do not apply any soap/gel to moisten the part before hair removal using Veet Sensitive touch. 1. Upper lips and eyebrows: These areas make us visit the salon, twice a month at least! I’ve never had much issues with the upperlip hair, but the extras on my eyebrows grow back quite fast. For these two areas, attach the double-sided trimming head unto the main body and the small double sided tool on top of the trimming head. You can now remove this tool and use the trimming head based on the length of the hair growth. There’s a short and a long side to this trimming head. Use the appropriate side to get rid of the excess hair by turning the trimmer on and moving it gently in the direction opposite the movement of combing. 2. 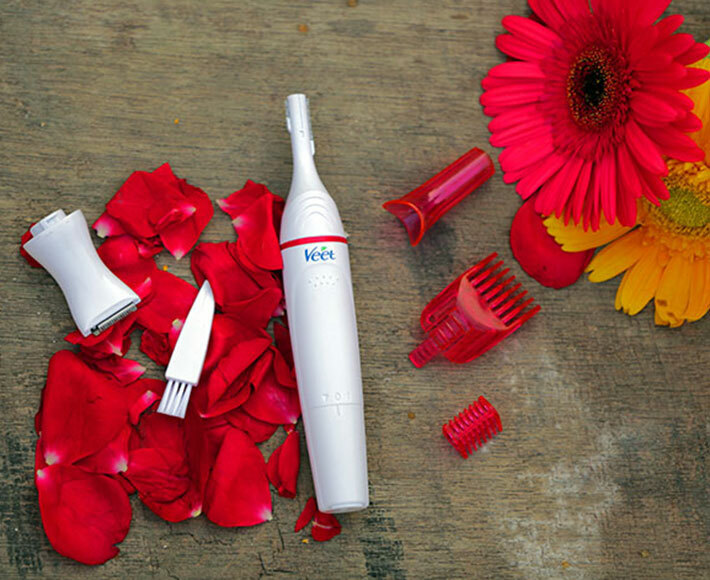 Bikini and Underarms: For all the women out there who can’t face the parlour lady for their Bikini line, Veet trimmer can be your bestie Replace the double-sided trimming head with the bigger and single trimming face. Attach the bigger comb and add the desired length to repeat as done for facial hair. Now remove the comb and turn on the trimmer and move it in the direction opposite to the direction of hair growth. Make sure you are gentle with your movements. You can twist and turn the trimmer to get a desired shape as for the bikini area. After you are done using the trimmer, turn it off and use the small brush to dust off the hair that may be stuck on to it. You could also rinse it by running tap water on the trimming head only. Do not in any case run water over the main body of the trimmer. This will only spoil your Veet trimmer. SBN Tip: Lubricate the trimming blades slightly to increase its shelf life. Once done, you can keep all the contents in the white pouch, making it easy to have all of it in one place. Also, making them really good travel buddies. This product is highly recommended as we all just can’t making rounds to the salon.